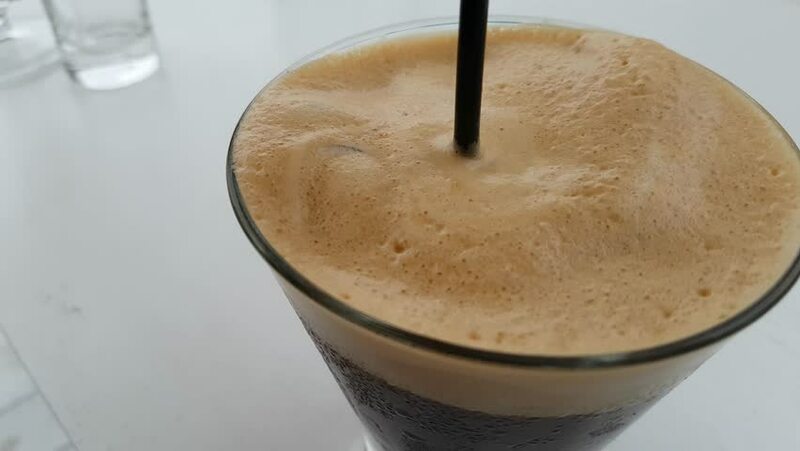 Close up of a freddo espresso coffee with ice being stirred with a straw. hd00:07Slowly stirring coffee in a clockwise and counter clockwise direction till the ingredients have all been melted and mixed. 4k00:07Person finished to eat and put fork knife and napkin serviette on the empty plate. Cafe restaurant casual scene. 4K UHD video footage.